Enjoy this summer in a glass. 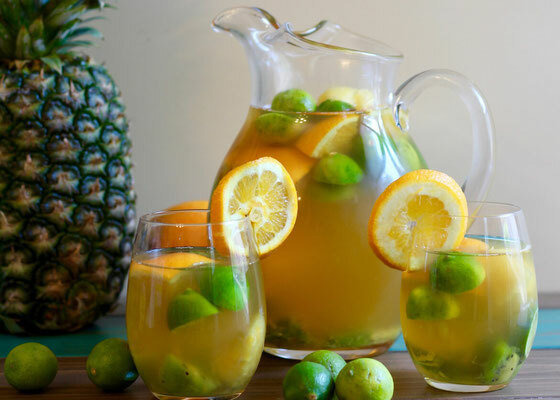 It will help keep you hydrated while adding a little flavor to your day! I’m so excited to be working with Unilever as a 2017 Agent of Change. This recipe features Lipton ®, a Unilever brand. I don’t know about you, but I’m pretty happy it’s summer. This time of year seems to slow down to a nice pace, which is awesome because that means more free time for relaxing with friends and family. Whenever I entertain, I like to whip up a few signature recipes. 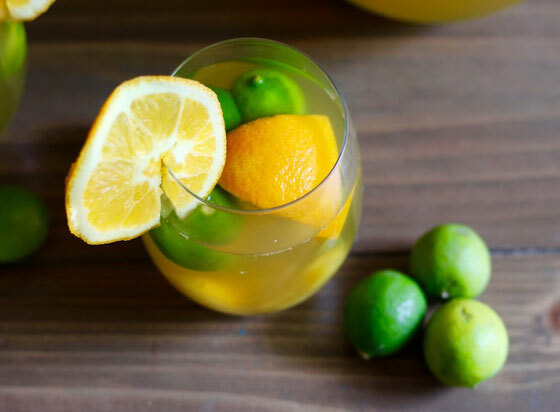 I’m not the biggest drinker—I find alcohol to be really dehydrating on sunny days—so I created this sangria mocktail recipe that’s suitable for kids and adults alike! I love that this sangria takes just minutes to prep. 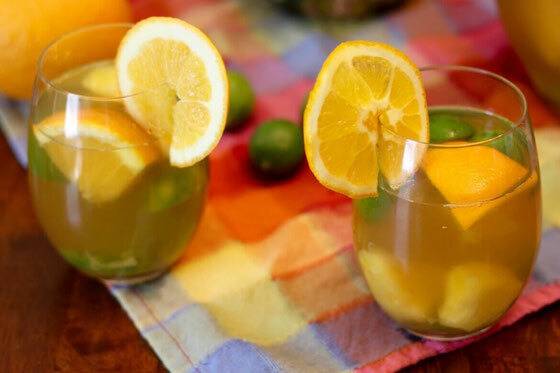 You can make it the night before and have a refreshingly healthy beverage ready to serve up the next day! This mocktail is made with Lipton® Pure Green Tea, which will pump your body full of flavonoids that help keep your heart healthy. You’ll get the biggest benefit from taking in at least 400 milligrams of flavonoids daily, an amount you can get from drinking three to four cups of brewed tea. FYI: Two servings of this tropical beverage counts as one cup of brewed tea. I love recipes that feature tea, including my Matcha Green Tea Energy Muffins. In addition to the tea, I mixed in white grape juice and passion fruit juice and then a slew of tropical fruit to celebrate summer! I used key limes, oranges, kiwi, and pineapple, but you can certainly play around with your own fruit add-ins. Also feel free to try different tea options. 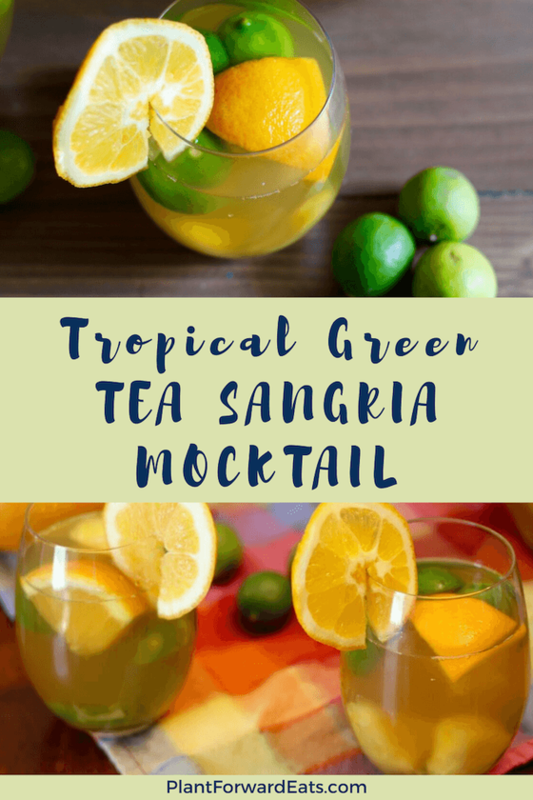 I had regular green tea on hand, but you could also use Lipton® Iced Green Tea in this recipe—or you could go the black tea route and use Lipton® Black Unsweetened Iced Tea. You’ll want to brew one iced tea bag in four cups of cold water. Ready to whip up this delicious beverage? It tastes like summer, so get ready for a tropical treat! Brew tea bags in boiling water for 3 minutes. Remove tea bags; stir in honey. 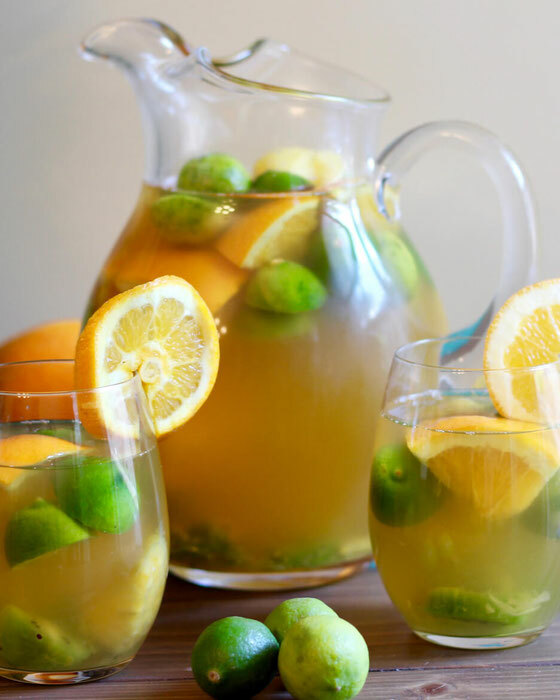 In a pitcher, combine brewed tea with remaining ingredients, reserving a few orange segments for garnishes. Chill in the fridge for 2 hours or more. Pour into glasses, garnish, and enjoy! Serves 8. What are your thoughts on this topic? What are your favorite summer beverages?